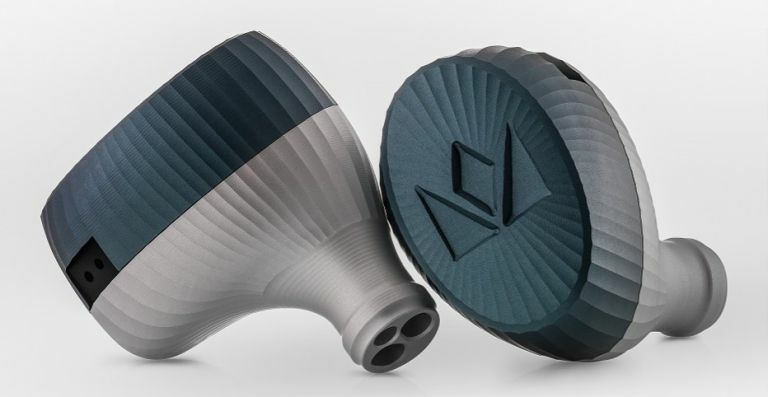 Following its reveal late last year, Noble Audio has announced its new 10-driver in-ear monitor built for high-resolution audio is now in full production and ready to order with a price tag of £1,699. If you're someone who works in live music or stage production, an in-ear monitor is a vital piece of kit and the new Kaiser Encore promises to be one of the most robust models yet. Following on from the firm's previous model, the K10U, the Kasier Encore includes, "improvements to the critical mid-range, adding additional clarity and bringing a more neutral tonal balance." Those 10 Noble Audio drivers will make all the difference, contributing to a larger sound stage presentation with greater imaging accuracy and enhanced spatial representation, as well as giving the feeling of larger, on-ear model. It's also been made with an aluminium chassis that makes it sleeker and lighter to wear. It even comes with a a Pelican 1010 case (crush-proof carrying case), a black velvet soft pouch, 12 pairs of ear tips (four kinds in three sizes), two Noble Audio bands or amp bands, a cleaning tool, a Noble cable and an ownership card. You can order yours today direct from Noble Audio for £1,699. Canon has revealed the latest addition to its EOS M range - the new, mirrorless EOS M6. It comes with the new DIGIC 7 image processor enabling the EOS M6 shoot at up to 7fps (or an even faster 9fps with fixed autofocus). It also has a 24.2MP APS-C CMOS sensor, the power to capture Full HD 60p video and much more. The EOS M6 might have a slimmed down form factor to make it easier to hold and carry, but that doesn't mean its scrimping on screen real estate - its in-built LCD touchscreen even tilts to give you a plethora of shooting angles. You can also connect your new EOS M6 up to your smartphone via Bluetooth to ensure you're capturing the very best shots for instant social media sharing. Available in black and silver, the Canon EOS M6 will be available from April 2017 with an RRP of £729.99. Canon is also releasing the new Electronic Viewfinder EVF-DC2, a new electronic viewfinder compatible with cameras in the EOS M range (including the new EOS M6). The 0.39-type viewfinder includes a 2.36 million dot display that reveals every intricate detail and even shows movement in real time with up to 120 fps refresh rate. EVF-DC2 will be available from April 2017 with an RRP of £219.99. You can pre-order one today via Park Cameras. Stylish car maker Jaguar has teamed up with oil and gas company Royal Dutch Shell to create the world's first in-car fuel payment app. The new app uses the in-car touchscreen featured across the entire Jaguar and Land Rover range and enables users to pay for fuel via PayPal or Apple Pay. Simply fill up your tank, return to the comfort of your motor and you can pay for your fuel in a matter of few taps while sat on the forecourt. The new app forms part of a series of fresh updates being rolled out across Jaguar XE, XF and F-PACE models that are all about making drivers' lives easier. The app also enables company car users can log journeys and receipts via the car’s touchscreen and empowers parents by enabling them to pay without waking children or leaving them in the car unattended. Why not check out... Nokia Reborn: will we see a flagship smartphone and updated 3310 next week?